I love putting together gift guides, and it helps me with my own Christmas planning! So I've got a few planned for the next few weeks, and they aren't based on things that I've been sent to review, they are purely things that I either own myself or have seen while browsing and on social media, that I think would make nice gifts for people. So I'm starting off with a Christmas gift guide for people who, like me, love to travel! 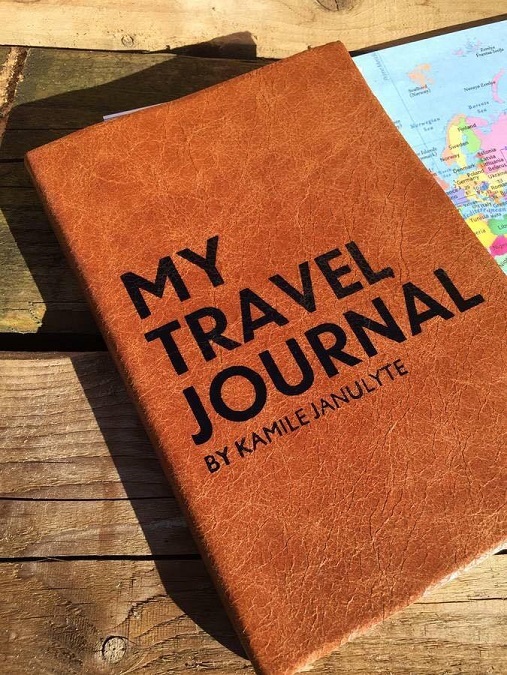 Starting off with the practical things that are helpful to all travellers. We have found a digital luggage scale very handy. It's one thing weighing your suitcases at home before you go away, but at the end of your holiday, along with extra bits and pieces that you've picked up on your travels, you have no idea how much the suitcase now weighs. A little scale is small and light and can be taken along with you to check your bags before you come home and save repacking at the airport. It's also great for checking the weight of your hand luggage if you have a restriction. A set of luggage tags is also a nice idea, and you can either go for fun and colourful, like these patterned luggage tags , or go for something a little more grown up and sophisticated. Last year I bought my husband a smart leather luggage tag which I had personalised with his initials. You can also help your recipient find their luggage at the airport with some rainbow luggage straps and help them in their packing with a set of travel bottles that they can decant their toiletries into and make the trip through airport security a little easier. Travellers love to both look back on their travel memories and plan new adventures. 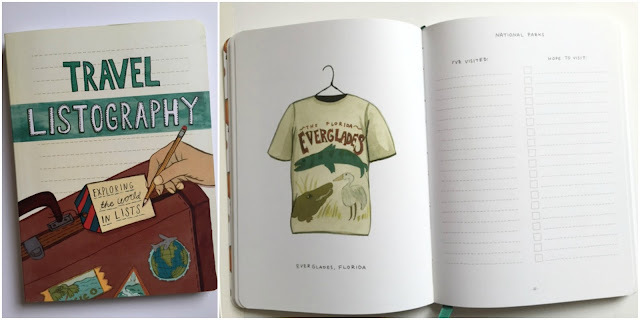 I've written before about the Travel Listography which I really enjoy filling out. I'm also hankering after one of these gorgeous personalised notebooks from Hope House Press. You can also choose from a huge range of notebooks, journals and diaries. We have a large World map hanging on the wall of our study which I love looking at with the children, but I'd also really like one of these scratch off World maps so that we can record the places that we've visited. 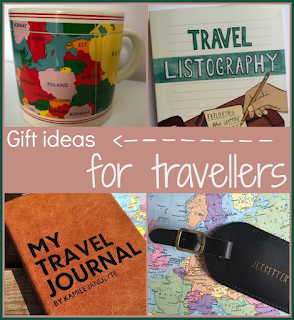 I also enjoy reminiscing while sipping from my World Map Mug, and how about wrapping your gift in World map wrapping paper ! Finally, if you are feeling crafty, why not make a display frame, like this one from Rachael Jess - Creating a Keepsake Box. It's a fun way to both show off and store those little mementoes that otherwise get lost, like travel or attraction tickets.